Learn about our hospital facilities, admission procedures, visiting hours and how to find us on our location map. Our easy-to-use directory allows you to search by either name or speciality to find the consultant you’re looking for. Situated in Waterford and established in 2006, we provide elective surgery in most major specialities, as well as diagnostic imaging, physiotherapy and radiotherapy. We believe in accessible, affordable healthcare that puts patients first, and makes you feel amazing. Last week we said farewell to Mary O' Driscoll as she retired from the Atrium Cafe at Whitfield Clinic. Many thanks to all the GP’s from across the South East who attended our GP Study Day last Saturday. Best of luck to the Waterford Senior Hurling Team in this Sunday's All Ireland Hurling Final from all the team at Whitfield. The Pieta House Darkness into Light walk takes place at 4.15am on Saturday, May 6th. GPs from across the South East attended Whitfield's GP Study Day on Saturday, April 1st. Mr. Patrick Carton will present a talk on Hip Surgery in the GAA at Waterford Institute of Technology on April 5th. Whitfield's Fred and Ginger Dance for Life! In a first-of-its-kind for Ireland, a broadcast of a 3D ophthalmic surgery recently took place at Whitfield in Waterford City. Paul Lynam appointed as new chief executive officer of Whitfield in Waterford. Take a look at Whitfield’s new state of the art fifth theatre! Tips to run your best Waterford Viking Marathon ever! Kilkenny GAA's 4th Annual Rae Day takes place on Saturday, March 19th at Gowran Park, Kilkenny. In February, Whitfield Clinic underwent a second successful ISO 9001:2008 audit. Operation Transformation back on the menu! Whitfield Clinic donated €1,000 to St. Vincent de Paul as part of its fundraising efforts for Movember. Whitfield Clinic were delighted to be asked to present at the recent CHKS Conference held in Dublin. Mr. Ian Kelly, Orthopaedic Surgeon will hold a podiatry evening at Whitfield Clinic on Friday 20th November. We recently held an induction day here in Whitfield Clinic, where our 14 new starters all received an organisation induction. Whitfield Clinic is delighted to host an Employee Healthcare Information and benefits seminar. We recently held another successful GP Study Day in Whitfield Clinic with over 40 doctors in attendance. Whitfield Clinic will hold a GP Study Day on Saturday 26th September. Good Luck to the Waterford Camogie Team! The Waterford Camogie Team take on Kildare on Sunday in Croke Park in the All-Ireland Intermediate Camogie Championship Final. Whitfield Clinic is delighted to have been involved as a main sponsor for another fantastic Viking Marathon. Helpful tips for marathon running! Whitfield Clinic has received a Highly Commended Award at the recent CHKS Top Hospitals Awards 2015. We are proud to be nominated by CHKS for the Quality Improvement Award 2015. Whitfield Clinic pioneers innovative technology to fight hospital acquired infections. The staff at Whitfield Clinic have once again shown their support for the Giving Tree appeal by donating over 150 gifts. Whitfield Clinic will host a General Practitioner Study Day on Saturday 27th September 2014. 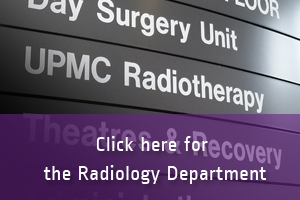 UPMC Whitfield have been nominated for Department of the Year with the Irish Institute of Radiography and Radiation Therapy. The Institute of Eye Surgery in Whitfield Clinic will be hosting a GP Study Evening on Monday 8th September. Our very own Professor Stephen Beatty took part in the Ice Bucket Challenge! Whitfield Clinic is delighted to have been one of the main sponsors of the Waterford Viking Marathon held on 28th June. Prof. Stephen Beatty recently held a Study Day at Whitfield Clinic titled "New Approaches to Retinal Disease"
Today is World Glaucoma Day. Do you know the signs of Glaucoma? Read this article to find out more. 2013 Waterford Viking Marathon is happening on June 29th. Have you registered yet? 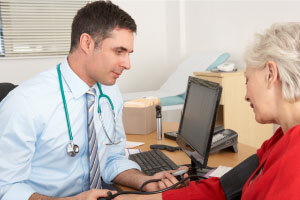 The AMD Service at Whitfield Clinic will be highlighted on Nationwide. Whitfield Clinic is closing over Christmas. Click through to find out more. Whitfield Clinic will be holding a remembrance service for patients, their families and our staff on Friday 6th December. Whitfield Clinic has again teamed up with Winterval to be a sponsor for 2013. Whitfield Clinic recently held a very successful study day for General Practitioners. Whitfield Clinic is delighted to sponsor the Waterford AC Half Marathon this year. The Institute of Eye Surgery now has an Eye Casualty available in Whitfield Clinic.